The United States Army in World War II used a variety of standard and non-standard dress and battle uniforms, which often changed depending upon the theater of war, climatic environment, and supply exigencies. The uniform consists of an Olive Drab (OD-51) peaked cap with a russet leather visor, white linen spread-collared shirt with a black worsted wool tie, Olive Drab wool trousers, an olive-drab (OD-51) wool four-button tunic with leather belt, and russet-brown leather Type I (leather-soled) service shoes. By 1942 the white linen shirt was replaced by the "Class B" olive drab gabardine shirt (for temperate climates and cool weather) or "Class C" khaki poplin shirt (for tropical climates and hot weather). The black tie was replaced with a khaki tie made of mohair, tropical worsted or other khaki material without sheen or pattern. With the Class A uniform (in current military terminology), insignia are worn on the tunic rather than the dress shirt's collars. The Enlisted arm- and branch-of-service insignia was embossed on circular pins, while the officer's insignia was "free work" (i.e., open design with no backing). Officer's rank insignia are worn near the ends of the tunic's epaulets and their Distinctive Unit Insignia pins (featuring the unit's coat-of-arms) are optionally worn in the center of the epaulet. Their arm-of-service pins ("U.S." for the Regular Army) were worn on the upper lapels and their branch of service pins were worn on their lower lapels. Enlisted men wore their "U.S." arm-of-service pin on the upper right lapel and their branch-of-service pin on their upper left lapel. Their Distinctive Unit Insignia pins were optionally worn on the lower lapels. Their Divisional patch was worn on the upper left sleeve between the top of the shoulder and the elbow and over the rank stripes. Veterans could wear the patch of the old or previous division they served in combat with on their right shoulder. Wound Chevrons (awarded from 1918 to 1932 for wounds in combat) were worn on the lower right sleeve between the cuff and the elbow. Service Stripes, or "Hash Marks", (awarded for every 3 years of service) were worn on the lower left sleeve. World War I Overseas Chevrons [created 1918] and/or World War II Overseas Bars [created 1944] (awarded for each six months combat service overseas) were worn on the lower left sleeve between the elbow and lower sleeve, but above the Service Stripes. The World War II Bars were worn over the World War I Chevrons. After 1953 the Service Stripes were kept on the lower left sleeve and the Overseas Service Stripes were moved to the lower right sleeve. Parachutist's Wings, Pilot's Wings, the Expert Infantryman Badge, the Combat Infantryman Badge, or the Combat Medical Badge are worn above the left top tunic pocket. Discharged soldiers returning home wore the embroidered Honorable Discharge Emblem (or "Ruptured duck") on the uniform over the right top tunic pocket on a diamond-shaped Olive Drab cloth backing. American and foreign medals or medal ribbons are worn above the left top tunic pocket. American and foreign Unit citation ribbons are worn over the right top tunic pocket. The Meritorious Unit Commendation patch [created 1944] (awarded to a unit for at least 6 months of exemplary combat service or combat support) is worn on the lower right sleeve above the cuff and below the Wound Chevrons. The uniform consists of an Olive Drab side cap or fur-felt M1911 Campaign hat, an olive-drab wool spread-collared shirt worn with a black worsted wool tie, Olive Drab wool trousers, and russet-brown leather Type II (rubber-soled) service shoes. The necktie was worn tucked between the middle buttons of the wool shirt to keep it out of the way. Officer's insignia were officially worn on the collars of the shirt with Class B uniform. The officer's rank insignia was worn on the right collar and the branch of service insignia (e.g., crossed muskets for Infantry) was worn on the left collar. To prevent targeting by snipers, a set of rank insignia were usually worn on the shoulder straps in combat. Warrant Officers wore the Warrant Officer "Wreathed Rising Eagle" (or "Squashed Bug") as their branch of service insignia. Enlisted personnel wore disks with arm-of-service insignia on their right collar and branch of service on their left collar. They did not wear insignia on their collars in combat. Their rank stripes were worn on the upper sleeves of the shirt between the line of the shoulder and above the elbow. The Divisional patch was worn below the line of the shoulder and above the rank stripes on the left sleeve. On the overseas cap, the officer's rank insignia or enlisted man's branch-of-service insignia disk was worn on the left side. Decorations and Badges were worn similar to the "Class A" uniform except only medal ribbons could be worn with Service Dress. Wound Chevrons and Service Chevrons/Bars were not worn on the lower sleeves of the "Class B" Uniform. The Class C or Khaki uniform was for wear in tropical climates and field duty in hot weather. It used light-weight chino cloth versions of the trousers and shirt and was worn with a light Olive Drab (OD3) tie. It was worn in North Africa and Italy in the European Theater of Operations and was the Army's standard issue Service Uniform in the Pacific Theater. The regulations are the same as those for the "Class B" Uniform. Decorations and badges were not usually worn with the "Class C" Uniform in the field but were worn in garrison. A khaki peaked cap and Class C dress tunic (the Tropical Worsted, or "TW" uniform) were adopted in 1942 for tropical wear. The "Class C" later evolved into the Cold War era Khaki (Shade 61) "Class A" (tropical service) and "Class B" (tropical duty) uniforms (renamed the Army Tan uniform in 1959). The "Class A" version (khaki long-sleeve cotton shirt, necktie, gabardine wool dress jacket, gabardine wool trousers, and peaked cap) was phased out by 1968. The "Class B" version (khaki long-sleeve or short-sleeve cotton shirt, optional necktie, cotton trousers, and side-cap) although lighter and technically cooler than the temperate uniform, required a lot of starch to remain crisp in the humid tropical air. A smarter-looking and easier to maintain permanent-press version of the Khaki "Class B" uniform was used during the early 1970s to the mid 1980s. The Army Tan "Class B" uniform was finally replaced by the new Battle Dress Utility (BDU) fatigue uniform in 1985. The Class D or blue denim uniform was for wear during fatigue duties. It was composed of a denim jacket and trousers and a broad-brimmed denim "Clamdigger" hat. It was replaced by the Herringbone-Twill (HBT) uniform. Certain Pre-War items were discontinued due to economy measures. The expensive and labor-intensive fur-felt Campaign hat was replaced with either the folding cloth "Overseas Cap" for wear in the field or the Peaked cap for dress or formal duty wear. The wool (Class B) or cotton (Class C) service shirts were only made with epaulets for officers in order to save material. Brass buttons were replaced by plastic ones. 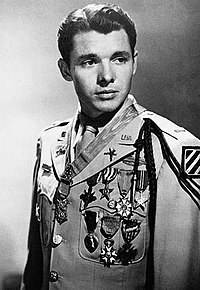 The buttons on the dress tunic were changed from the branch of service insignia to a "GI" insignia (the Army Eagle) - except for Engineer officers, who still wore the Engineer "Castle" insignia on theirs. In 1940 the Army Dress Blue uniform was discontinued as an austerity measure. It would not be restored until 1947. Issue of the saber to Army officers was discontinued and never restored. In 1942 the M1921 Sam Browne Belt was discontinued to save leather. The Class A dress jacket replaced its separate leather waistbelt with a cloth belt that was sewn-in at the back of the jacket's waist. The black worsted "Class A" necktie was replaced by the Olive Drab (OD 3) necktie with all uniforms. The officer's Peaked Cap was later redesigned to have a removable crown so it could be converted from Olive Drab ("Class A") to Khaki ("Class C") (or vice versa). The United States Army during the inter-war period followed the previous model of having a standard uniform that combined elements of both the Class A (basic service uniform) and Class B (basic field uniform). By combining the uniforms, it was thought that time and money could be saved. Included in the clothing system was an olive-drab (OD) wool garrison cap, olive-drab wool trousers, an olive-drab wool spread-collared shirt worn with a black tie, an olive-drab wool four button tunic, and russet brown Type I (leather-soled) or Type II (rubber-soled) service shoes. An outer jacket or coat, either the Model 1938 "Overcoat, Mackinaw, Roll Collar" or the Cotton Field Jacket in Olive Drab (OD3) was issued. The basic Army field or combat uniform for temperate or cool climates consisted of the basic wool uniform, without tie, along with a field jacket or wool overcoat, leggings, helmet and web gear. The standard Army shade was a light Olive Drab (OD3) to medium olive drab (OD7). The U.S. Marine Corps used its pre-war Sage Green shade and its web gear came in the pre-war "Mustard Tan" shade. In the European theater of operations (ETO), the basic wool uniform saw the most use and had the greatest functionality, being able to keep the soldier warm in the winter with its insulation and relatively cool and breathable in Northern European summer weather. However, the Olive Drab Cotton Field Jacket came in for considerable criticism; it was poorly insulated and the light cotton shell provided little protection from wind or rain. In addition, the OD3 coloring was deemed inappropriate for use in northern Europe, as it stood out against most backdrops, making soldiers more visible targets. A second and less common uniform, the Herringbone Twill (HBT) uniform was issued, made of 8.2-ounce heavy cotton herringbone twill cloth. The uniform consisted of a shirt, trousers, and initially a circular-brimmed "clamdigger" HBT utility hat. This was later followed by a billed cap that was based on a design used by railroad workers. Initially it was meant to be worn over the basic wool uniform to provide protection, however it proved to be much better material than the primary uniform for hot weather and tropical climates. The HBTs, although initially meant for wear during fatigue duties, were very commonly used as combat clothing, especially in hot weather. It was used as such in nearly all of the major theaters of combat that the US was involved in. The original M1941 uniform came in a light sage green color that faded to a light green with repeated washing. The later M1943 version had small changes in tailoring and came in Dark Olive Drab (OD-7). The M1942 HBT "clamdigger" utility hat was used extensively by the Women's Army Auxiliary Corps. They wore it with the back of the brim flipped up and the front of the brim pulled down and nicknamed it the "Daisy Mae Cap". It replaced the WAACs' distinctive "Hobby Hat" kepi for field use and fatigue duties. The M-1943 uniform came into service in the early half of World War II. The uniform was designed as a layered system, meant to be worn over the wool shirt and trouser and in conjunction with a wool sweater and liners in colder weather. The most recognizable part of the uniform is the standardized M-1943 Field Jacket. It was longer than the earlier 1941 Field Jacket, coming down to the upper thighs. It was made of windproof cotton sateen; most were issued in a new darker olive drab color (OD7). The jacket also had a detachable hood, drawstring waist, two large angled breast pockets, and two lower skirt pockets. The trousers were made out of the same Olive Drab (OD7) cotton sateen material and white cotton twill inner lining, and were equipped with both front and rear pockets. They also had buttoned tabs at the waist in order to cinch the waist. For airborne troops, treated canvas cargo pockets were added to the trousers. In the ETO, initial issuance of the M-1943 was slowed as a consequence of opposition by some U.S. commanders. However, as U.S. and Allied troops pushed into Germany, more M-1943 uniforms or components of the uniform were issued as the supply situation (including replacements directly from stateside arrived) and the weather became harsher as winter arrived. In use, the M1943 was very popular with the men in the field, being relatively comfortable and having large amounts of pocket space. In the ETO, the M44 Wool Field Jacket, commonly known as the Eisenhower jacket, appeared in 1944. While originally intended as a field or combat jacket, it was nearly always reserved for service or dress wear. It closely resembled the short British Battle Dress jacket that inspired it. There were two versions. The M43 (Model 1943) is a collector's term for a regular baggy M-43 cotton field jacket cut-down and tailored to closely fit the wearer's figure. They were non-standard conversions made for GIs by tailors in the United Kingdom with degrees of variation. The standard-issue M44 (Model 1944) Wool Field Jacket, made of fine-quality dark Olive Drab (OD 7) wool, was originally designed as a liner to be worn under the M1943 combat jacket. In 1945 the M44 became an acceptable substitute for the "Class A" 4-button service dress jacket. The "Ike jacket" was authorized and issued for overseas wear only, though returning troops occasionally wore it. In 1943, after extensive testing in the swamplands and jungles of Florida and Panama, the U.S. Army determined that an experimental tropical uniform made of Byrd Cloth (known in Britain as Grenfell Cloth), would best protect soldiers from insects and disease while cooling the body and minimizing losses from perspiration. Byrd Cloth, as used in the Experimental Tropical Uniform, was a single-layer uniform of untreated OD long-staple Egyptian cotton, made in a tightly woven herringbone twill to prevent mosquito bites. In use, the uniform was intended to cool the wearer even when continuously wetted, as might be expected in a humid, rainy jungle environment. The uniform featured a short-tailed shirt, trousers with cuffs fitted with half-inch boottop fastening tapes, and a flap-protected fly to keep out crawling insects such as leeches, ticks, and chiggers. Pockets were shallow and kept to a minimum to increase cooling; users carried all their gear in load-bearing belts, suspenders, or in low-mounted field packs designed to minimize body contact (jungle packs). The uniform, always in short supply because of a shortage of Byrd Cloth, was used in combat by members of the Office of Strategic Services (OSS) and the Mars Task Force (Army 5332nd Brigade-Provisional) in Burma. Because of the shortage of suitable weaving machines and resultant cost of weaving Byrd Cloth, a less expensive 5-ounce OD cotton poplin shirt and trouser were issued on an experimental basis in 1944 for use in jungle and tropical regions; while reports were favorable, existing HBT stockpiles were deemed adequate, and the uniform was not adopted. Army combat footwear in World War II originally consisted of a basic tanned leather shoe, used with heavy canvas leggings, the Model 1939 "Shoes, Service, Composition Sole", or Type I Service Shoe. This was an ankle-high field shoe made of tanned leather in a dark red or russet color, originally with leather soles. The sole was changed to a rubber composition after 1940 and designated as the Type II Service Shoe. Soon after the US entry into the war these shoes, which were also used as part of the Class A dress uniform, were replaced with a "roughout" field shoe made from leather uppers with a sueded outer finish, and designated the Type III Service Shoe. The Marine Corps version of these shoes were commonly referred to as "boondockers". In November 1943, the Type II and III service shoes were in turn replaced by a boot, the M43 Combat Boot or "Two-Buckle Boot". This boot had a permanently attached a two-buckled leather ankle flap, which was designed to replace the unpopular canvas leggings. The sole was made of synthetic or reclaimed rubber. Due to supply issues, soldiers can be seen wearing both the service shoes with the leggings and the newer combat boot. A rubber-soled, canvas-top Jungle boot was issued during the war for use by soldiers in the tropical and jungle environments typically encountered in the China-Burma-India (CBI) and the Pacific theaters. The 10th Mountain Division's troopers occasionally wore the Mountain Boot, a low-quarter brown leather boot with a square toe and rocker-type sole, though this boot was phased out in favor of the Type III Combat Boot in the last year of the war. In 1944, the M-44 Combat Boot, a high-top leather boot with full laces was adopted for service, but for the duration it was primarily worn by soldiers on stateside duty. Parachute troops beginning in 1942 were issued Jump boots - high-lacing rubber-soled leather boots which were intended to provide additional ankle support when landing by parachute. Although these boots were to be replaced by the new M43 combat boots, jump boots continued to be worn throughout the war. Nicknamed "Corcorans", from the name of the first contractor to manufacture them, they have become a status symbol as the footwear of paratroopers and Rangers. Overshoes were normally issued to Army units during winter operations. In January 1945, some Army units operating in the ETO received shoepacs for wet winter wear. The shoepac was a leather boot with rubberized lower top and sole, worn in conjunction with the wool ski sock. While it was effective in keeping feet protected from soaking and freezing ground, the shoepac lacked foot support and tended to wear quickly; it also resulted in incidents of foot injuries when a soldier wearing shoepacs on a march in freezing weather stopped to rest, allowing perspiration-soaked socks inside the boot to freeze. This page was last edited on 25 November 2018, at 04:41 (UTC).